Note: The payment plan is interest free but there is a $3 charge added to each payment. If you purchase this package, you will save $30 over the course of buying the courses individually. Where can I learn more about these courses? 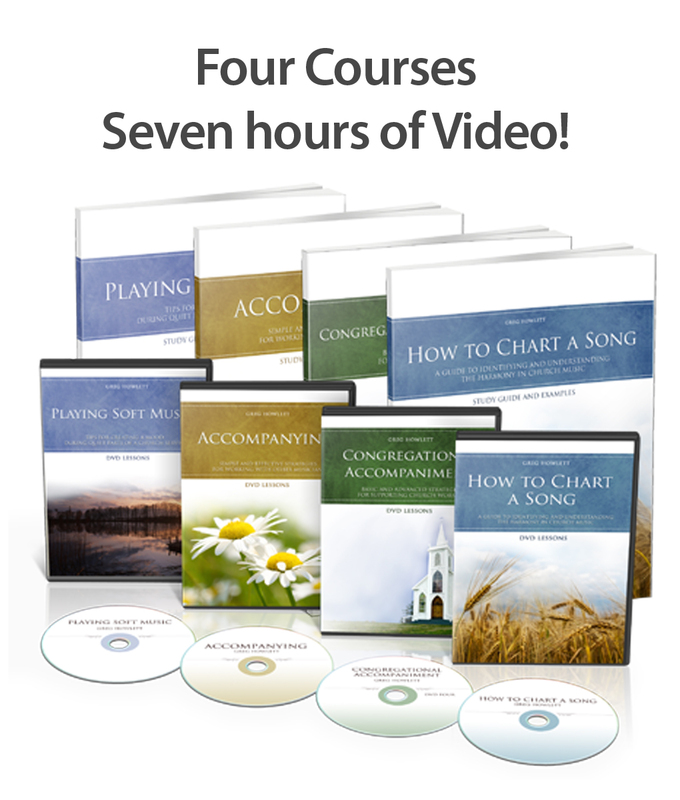 All of these courses are available for purchase separately at GregHowlett.com. The flagship course is Congregational Accompaniment, which teaches beginners and advanced pianists alike how to accompany a singing congregation. How To Chart A Song is a short but critical course that teaches piainist how to analyze harmony in the songs they play. Accompanying teaches you how to accompany soloists and small groups and Playing Soft Music focuses on playing subtle music. What kind of church music will these concepts work with? Do I have to wait for these courses to arrive by mail or can I view them online?